Strategic planning is often too complex, and an organization’s vision is seldom clear and concise. 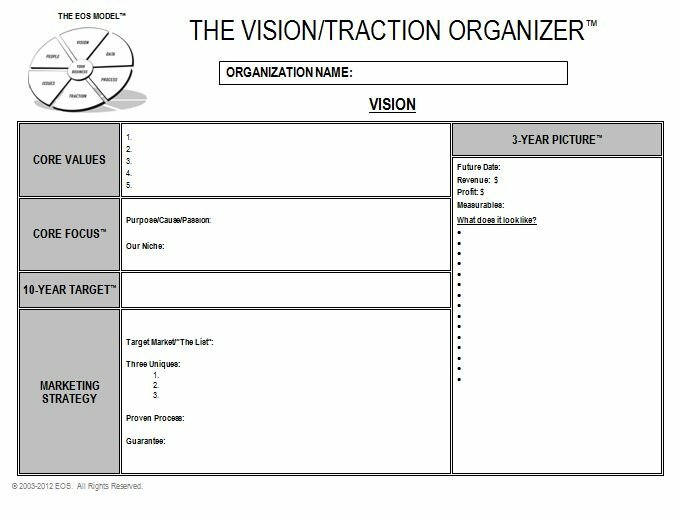 The Vision/Traction Organizer™ (V/TO) is a powerful tool to help you simplify the strategic planning process, getting your vision out of your head and onto paper by answering eight questions to crystallize where your organization is going and how you will get there. Everything fits neatly into 2 pages instead of 50.